MTV What’s Going On? Is TRL Gone? Are U? Rumors have been flying for a while now that Viacom is slashing 250 jobs, some of which may include higher level execs at MTV and some MTV programming. Sadly, the rumors also entail that TRL is getting the ax (as I had reported like a month ago…good for me, right?). 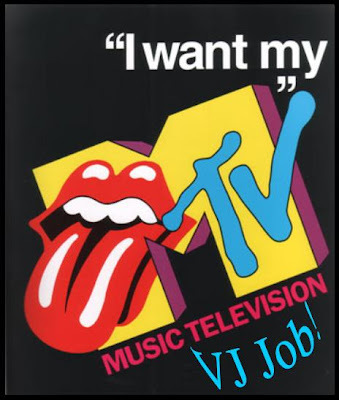 I am only saddened by this as my dreams of being an MTV VJ will be axed with the show. Ok, well that clears it up right? Yeah, didn’t think so. Well now the pressure is on David Bittler. As Larry Birkhead’s lawyer said in a press conference about Anna Nicole as she looked and pointed directly into the camera, “I’m talking to you Anna Nicole!” Ok, so, “I’m talking to David Bittler.” You better not be lying or there is a good chance your pants will catch on fire just like the wise song says (Liar Liar Pants on Fire). I mean the bottom line, really, is – “So do I get a VJ job or what?” Ok, let me know later. Clean up this mess first. I like an organized work environment. TRL Gone? But Where Will I Work?